early on a wednesday morning. wordless. 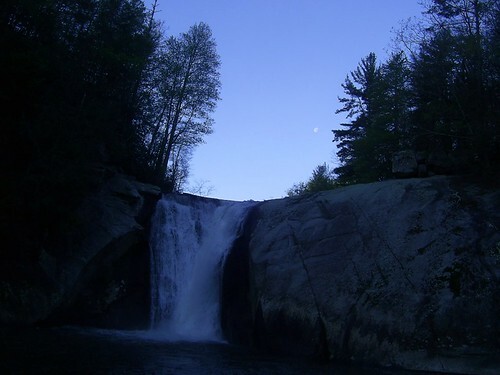 This entry was posted in wordless wednesday and tagged moon, photography, water on April 30, 2008 by isabella mori. hello people! this is the new edition of the carnival of eating disorders. unfortunately, i’ve been having problems with the blog carnival site (the site that administers all the carnivals) so i have had only a few submissions this month, two of which i’ll be including. to substitute for the slim pickins, i’ll feature this time a poem – last day of poetry month! – and two topics that twitter friends of mine have suggested. imagine yourself in a room of people eating. in the stomach lining, fissures in nerve tissue. the first topic sugge sted is by jan, who thought it would be useful to talk about a bill adopted by france’s lower house of parliament this month which could be the catalyst for the worldwide fight against eating disorders. the bill still needs to be approved by the senate but if that occurs, it would make it illegal for anyone — including magazines, web sites and advertisers — to publicly promote extreme thinness or unhealthy methods of dropping a few dress sizes. here are three views on that. with the jury still out on the cause of eating disorders, i can’t condone france’s hard line approach to dealing with the media. you know what happens when the government gets involved in free capital issues. not only does corruption loopholes or other means to circumvent the system arise, but usually the legislation and ensuing laws are ineffective. if you think the u.s. government should play an active role in eating disorders research, treatment, and prevention, go to the eating disorder coalition’s website and sign up for their newsletter. we just did. what do you think? should any form of favourable communication about anorexia and bulimia be banned? or is that a form of censorship? what kind of effect would such a law have on people with anorexia or bulimia, and on the population as a whole? the second alert i got from my twitter friend rob cottingham, who pointed out that the april/may edition of the running room’s magazine has an article about eating disorders. i tried my best to find anything on the internet about that but wasn’t able to. going onto the running room’s forum, there is a small section on anorexia. interestingly, it has a poll asking whether anyone on the forum knows a runner with an eating disorder. 25% said they did. i think the idea of a sporting goods company talking about eating disorders is fascinating, and if any of you know anything more about this, please let me know! and here are the two submissions that made the cut. the weight loss continues to report on his particular way of losing weight – trying a new diet every week or so. here he talks about eating raw. take a few days (at least one weekday and one weekend) to write down any emotion related eating. on a sheet of paper, put in four columns: triggers, behaviors, consequences, and action plan. she then goes into a bit of detail for each one of these. this is a method that works well for people who are really ready to beat their demons. it works for any habit, and i highly recommend it. so, people, that’s it for this month. if you have written an article on any of these topics or have seen one you like, please, submit it to the next edition of carnival of eating disorders, to come out on may 31. please use the carnival submission form. This entry was posted in creativity: poetry, art, etc., eating disorders, body image & similar topics and tagged anorexia, body image, bulimia, obesity, overweight, poetry on April 29, 2008 by isabella mori. there is also a world where napoleon won the battle of waterloo. and a world where she requited my love, in granada. but these worlds and ours will never find each other. quantum waves are vibrations of the possible. “quantum waves” they called empty waves. but in quantum theory there exists no “nothing”. and an electron “literally has no dimension”. they say, than a stream of water from a fountain. for heisenberg, less substantial than a promise. it would have the shape of foam. bertrand russell still owes an answer to the cab driver. for the first time in his life he could not respond. then from which centre does it expand? or is each point the centre? (and she, who once was it for me). one of the things that fascinates me about this work of poetry is that throughout, cardenal expands his views to the unimaginable and then always comes back to the minute particular – the centre of his universe, once, a woman in granada. a liberation theologian, he always brings philosophy and theology down to earth. we see the brilliance of bertrand russell bursting into foam at a simple question from a cab driver. theory needs to inform us but we have to be able to touch it, at least here and there, at least for a moment. yes, we really do not have good words and concepts (yet) for the form of water in a stream – but it’s there, very real, very important. ernesto cardenal studied in mexico and at columbia university in the US, and with thomas merton at a trappist monastery in kentucky in 1957. nicaraguan dictactor anastasio somoza declared cardenal an outlaw in 1957 for his support of the sandinista movement. in 1965, he was ordained a priest and founded a christian commune, solentiname. during the revolution, cardenal served as a field chaplain for the FSLN. after the triumph, he served as minister of culture from 1979 to 1988 and promoted literary workshops throughout nicaragua. at present he is the vice president of casa de las tres mundos, a literary and cultural organization based in managua. i translated this from the german translation by willi zurbrueggen – i couldn’t find either an english translation or the spanish original on the web. the english translation in book form is about to come out, with some amazing translators, including thomas merton and kenneth rexroth. go here for more information about ernesto cardenal. This entry was posted in creativity: poetry, art, etc., peace, environment, social justice et al, spirituality and tagged cosmology, latin america, liberation theology, poetry on April 27, 2008 by isabella mori. i was going to send this as an email to someone but why not post it here? i have a few exercises for this, and one of them has something to do with how we feel when we’re not 100% good at something. so here we go. list a few things that you don’t do perfectly, e.g. then ask yourself – what’s fun about these things? what’s fun about doing paperwork? e.g. i like paper! like, the actual paper. makes me think of books and writing and drawing. what’s fun about playing with the kids? e.g. i like finger puppets. what’s fun about exercising regularly? what’s fun about looking after my bad back? e.g. lying on the floor with the TV on. it’s a good idea to come up with at least 5 fun points for each activity you feel you’re not perfect at. This entry was posted in emotional health and tagged dislike, enjoyment, perfectionism, reluctance, self confidence on April 24, 2008 by isabella mori. This entry was posted in wordless wednesday and tagged beach, canada, spring, vancouver on April 23, 2008 by isabella mori. * visit people, places and cultures, not tourist attractions. * learn people’s history. redefine progress. * look at the moon and imagine someone else, somewhere else, looking at it too. * eat adventurously. enjoy vegetables, beans and grains in your diet. * choose curiosity over certainty. * know where your water comes from and where your wastes go. * know that no-one is silent though many are not heard. work to change this. it turns out this is on a beautiful poster – the one you see here. you can get it at at the syracuse cultural workers tools for peace shop. This entry was posted in peace, environment, social justice et al and tagged activism, earth day, peace on April 22, 2008 by isabella mori. thanks to barry for taking the time and care to comment on the post about how some christian churches deal with mental illness. one of the habits i have fallen into is that when i feel critical of someone, i then turn to myself and ask myself how i, or groups i belong to or identify with, behave in that way, as well. the moment you mention mental troubles to the evangelical/charismatic christian spectrum they tend (not in every case) to talk of scripture in a pronouncedly denouncing manner. when we feel we’re right, it’s incredibly tempting to find a piece of authority to support it. on a conscious level, i try to watch out for this but i’m aware that i’m always driven a bit more by the desire to have someone/something agree with me than to find someone who disagrees with me. having said that, there is a big difference between getting someone to agree with you in general, and getting someone to agree with you and then using that in a denouncing manner. i cannot help but think of the inquisition here. we’re all comfortable with our views – that’s a rock-bottom human condition. and in this comfort, we rarely label our views as anything even remotely negative. i bet most people who espouse this view do not see it as critical at all. to them it’s just – well, right. i find the use of scripture to speak ill of people with mental health issues horrible. this is my view. is there something that i could change? something where i need more humility? my immediate reaction is – i’m already doing my darndest to be understanding. enough already! well – maybe i am doing a lot to be understanding. but “enough already” is not humble! 2) they think that they can heal any illness by immediate prayer (and if the person concerned isn’t immediately healed, they become very worried that their prayers have failed, thus passing same on/back to sufferer, with the inevitable ‘your faith wasn’t strong enough’ or ‘you weren’t co-operating with prayer’ – anything to avoid facing the terrible and ashen fact that god , for whatever reason, has said no to them, which he’s entitled to do after all). again, what a human thing to do. i’m powerless over something, i can’t stand that powerlessness, so i turn around and make it all someone else’s fault. and since i’ve just experienced the extreme discomfort of powerlessness, i’m going to do my best to make sure that the person/persons i blame can’t defend themselves. that way i can feel a bit more control. i bet you if we’re honest, we can all easily name an instance like that – probably something quite innocuous. for example, i find it much easier to criticize my children than my husband, and that includes situations where i don’t shoulder as much of the responsibility as i truly have. irreverently, i call this the “monkey pimple syndrome”. we see illness and become afraid. when we become afraid, we regress. when we regress, we become irrational (more irrational than we are to begin with). in this irrational state, we believe that all illness contaminates – as soon as we “touch” the person who is ill, we are in danger of catching it, too. this situation that barry describes is something that i come across frequently when working with people with chronic pain. most anyone – health care professionals definitely included – is terribly afraid of pain. the cold distancing and the blaming (“it’s all in your head”) stems at least partly from that fear. this is where the hard work comes in that barry talked about earlier. i need to keep learning about when and where i have such fearful knee jerk reactions and go into regression – that’ll make it easier to catch myself early in that process and hopefully not even go there at all. the trick ( if indeed there is one) is to rebut ignorance with dignity and knowledge and when you’re given judgemental opinions on your illness, to request the personally graduated medical school it came from. to that bag of tricks i’ve just added compassion, honesty and personal responsibility. or maybe it’s not about tricks. maybe it’s just about being present with our brothers and sisters, even in painful moments. thanks again, barry, for inspiring this post. and let me just make it very clear again – while i did take this as an occasion to reflect on my own faults, i certainly don’t condone the attitude you’ve found. these reflections are explanations, not excuses. let’s also take this as an occasion of inviting people to talk about where churches of all stripes have been helpful to people with mental illness. i’d be happy to host a guest post about that. This entry was posted in depression and mental illness, spirituality and tagged , christians, church, mental illness, psychology, religion on April 21, 2008 by isabella mori.